Pythagoras is said to have been the earliest outside of Scripture (Isaiah 40:22) to contend that the earth is round. He did not make the earth round with his assertions, but he identified what already was. Sir Isaac Newton certainly did not create gravity, but he is credited for our modern understanding of it. Likewise, the term sola scriptura was coined during the Reformation Movement as part of Martin Luther’s protests against perceived corruptions of the Catholic Church. It was a Latin phrase (literally “by Scripture alone”) describing the “theological principle that Scripture is the final norm in all judgments of faith and practice. Church traditions and customs, pronouncements of church officials, civil law or any other purely human source, including human reason, must yield to clear scriptural pronouncements” (Reid, Daniel G., et al. Dictionary of Christianity in America, 1990: n.p.). 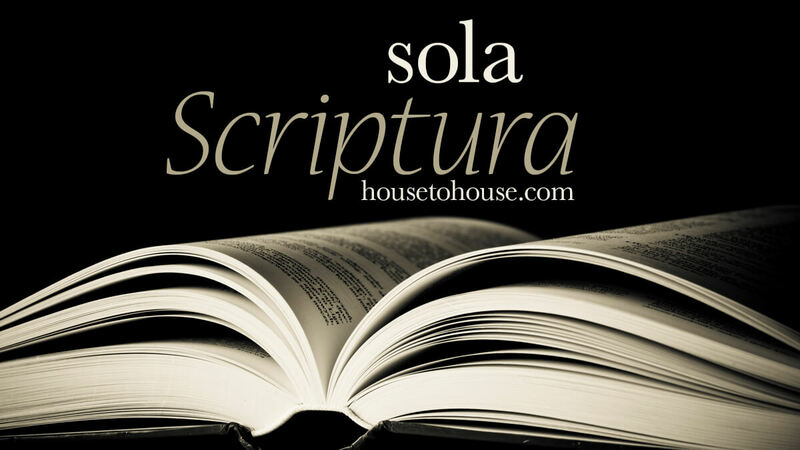 What does “by Scripture alone” mean? It means that the Bible does not share authority with anyone or anything. One author says it means “the freedom of Scripture to rule as God’s Word in the church, disentangled from papal and ecclesiastical magisterium and tradition. It viewed the Word as supreme over tradition and the sacraments” (McArthur, John. Expository Preaching, 1992. Dallas: Word Pub., 47). A creed book, discipline, or annual church conference may not vote about what should be believed, taught, and practiced. A religious group has no authority to claim a latter-day revelation and produce a book said to be co-authoritative with the Bible. None may say that “the church” or “church tradition” has authority with or over Scripture. “By Scripture alone” rejects competing standards. It does not eliminate the need to handle aright (correctly interpret). One cannot read even the simplest of instructions or follow the most basic of tasks without employing logic, reason, and deduction. That is not the same thing as a person, group, or book that claims to rival or co-authorize with Scripture. The alternative is to suggest that Scripture alone is insufficient or inadequate, that it is not the sole authority on matters of truth and right. This is the crux of the matter. Scripture is God-breathed, making one spiritually complete (2 Timothy 3:16–17). If Scripture is sufficient, what need is there for anything beyond it? On what basis would we accept anything more or less than or different from the Bible? How could fallible man be equal to or co-authorize with the perfect law of the Lord?